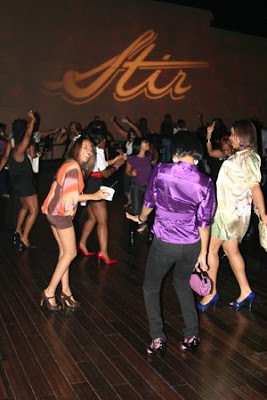 Stir Nightclub and Concert Theater opened a year ago on Independence Boulevard. As the name implies, it opened with the promise of being a nightclub as well as a venue for music acts to perform. It has delivered on those intentions, but the results have skewed as of late. 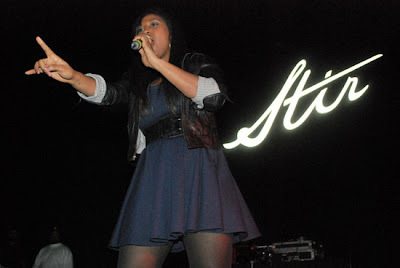 Jazmine Sullivan performed at Stir in January. Stir was initially a place where you would see R&B acts and old-school bands perform as well as the occasional party hosted by a reality TV star. There were also fashionable all-white and all-black parties along with cultural themed nights, as the club sought to appeal to an upscale, adult crowd. I think the fact that it's located on Independence Boulevard in east Charlotte, which hasn't had good luck with nightclubs, plus the notion that the 30-and-older crowd is a hard one to draw regularly enough on the nightlife scene to sustain a business, has led to a shift in the selection of artists and entertainment being booked there. On Friday night, Gucci Mane and Shawty Lo performed at Stir. That's quite a fete, booking two of the ATL and South's hottest rappers on the same night. In the last couple of months, the club has brought in many more Dirty South rappers: OJ Da Juiceman, Gorilla Zoe, Lil Boosie, and Webbie, while Plies is scheduled to perform there this Saturday. With lineups like this, Stir is not only not trying to reach the upscale, 30-and-older crowd, but it's also bringing in the acts that draw the kinds of people that will lead to an establishment getting shutdown. Hey, I'm just keeping it real (this is Grown People Talking). I've driven by Stir on nights when they've had a couple of the aforementioned acts and the parking lot is filled up like there's an NBA game being played inside. But I'll give the operators of Stir credit for one thing, there hasn't been reports of trouble there so they appear to be keeping things under control. Plus, they still show glimpses of their original intentions: R&B singer Pleasure P performed there Wednesday (he actually stopped into Pop Life at Apostrophe Lounge earlier in the night while I was there), and they've featured Latin musicians like Grupo Niche last Saturday and Reik is there this Tuesday. Maybe Stir's crazy, or maybe its operators know what they're doing. It just appears on the surface to be the same pattern that many nightlife venues have fallen into once their original business plan hasn't worked. They've managed to be open for a year, which is an accomplishment for a nightclub. Surviving the second year, though, will tell if the place will be around for the long haul.